Spindrift usually refers to spray, particularly the spray blown from cresting waves during a gale. This spray, which "drifts" in the direction of the gale, is one of the characteristics of a wind speed of 8 Beaufort and higher at sea. Stories are like waves, slowly building and coming in toward the shore. In a book series, the waves build one upon the next, and for each wave there is the spindrift, the bits of story that build around those big books but have no real place within them. These stories are the spindrift of the Exit Unicorns series. 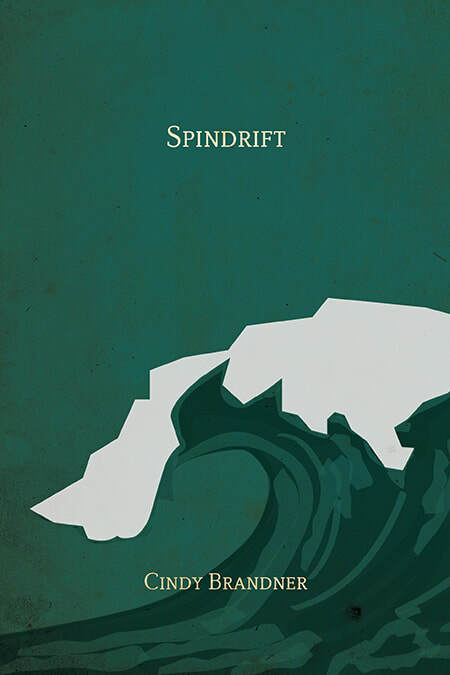 Spindrift- Caught in a fierce storm off the coast of Ireland, Brian Riordan is shipwrecked with a mysterious young man on a timeless island. Another Man's Country- Ireland of the 1920s, a time of rebellion and brother fighting against brother. Brendan Riordan, a leader in the Irish Republican Brotherhood, is at the center of the conflict and caught between the love of a woman and dedication to his country. Terence McGinty, 'the brother of his soul, if not his blood' is right there beside him, seeing the events of his war-torn country and counting the cost to them all. Grain by Grain- A glimpse of the two young Riordan boys-- a misbehaving Casey and a curious Patrick--seen through the eyes of their father, Brian. Athalia's Shoes- A pair of red shoes and a story that has been waiting to be told for three decades. This is the tale of the mysterious Russian Jew, Yevgena, and her life through a world war, through loss, love and tragedy, and the ultimate phoenix-like nature of the human soul.